The Michigan Democrat, set to become the first Muslim woman ever elected to Congress, joins Know Your Value's Mika Brzezinski to discuss her victory. Rashida Tlaib, the winner of Tuesday’s Democratic primary race in Michigan’s 13th Congressional District, is expected to become the first Muslim woman ever elected to Congress. 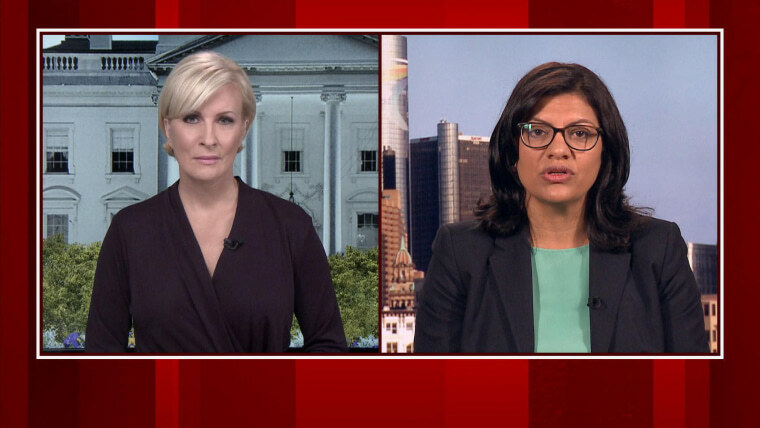 Tlaib joined “Morning Joe” co-host and Know Your Value founder Mika Brzezinski the day after her historic win to explain why she’s running and how she intends to help women step up and make their voices heard. The 42-year-old mother of two suggested one way to move that discourse forward: elect more women to Congress.